I stumbled across this image in a flickrpool and I love it... It's a mural on a building outside in Toronto, at the Redpath Sugar Distributer on Queens Quay... Near or on Jarvis and Queens Quay. 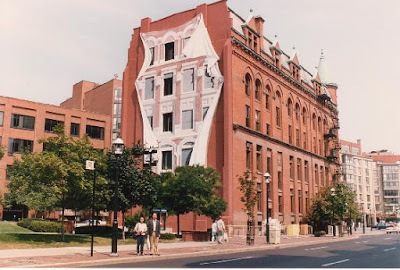 I want to find more outdoor building paintings, especially in Toronto since I live here and I could easily go check them out, but anywhere really is cool... When I try to think of more paintings/murals on building a couple come to mind, there's the Flatiron building downtown, a very unique building with flowing curtains painted around windows at the back. 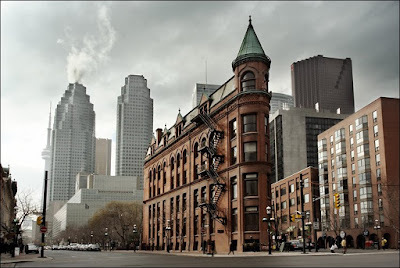 This building is located at the intersection of Wellington and Front Street. The painting was done by Derek Michael Besant. The awful (sorry) woman's face on the side of For Your Eyes Only comes to mind... Oh yes, and there is another stunner on the side of an art gallery on Queen West... I could find that one... And of course there's the big spot that Apple always has new highly realistic painted ads at Spadina and King St. If anyone knows of any such building paintings, please leave a comment and let me know which ones you know! 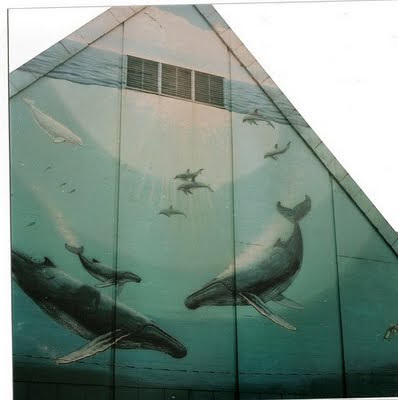 With a search I just found Art Side Murals, the website of Tiborr Hargiati. I'm not sure if all the artwork is his or just some of it. It seems like it is all his but that it might also be mostly his work and other artists are brought in if needed. The site boasts a lot of great photos and not much text. If you like murals or paintings, please check it out. The work is gorgeous! Now I want to paint my home!! !